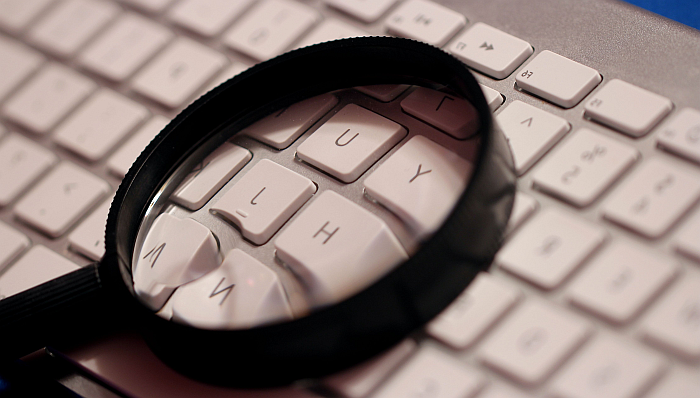 Finding the best tech deals on any e-commerce site takes a little sleuthing. NeweggBusiness is no exception, despite the valiant efforts of the web management team to make it as easy as possible to find products at the best prices. Here I will show you a fool proof shopping method that puts site users at an advantage. With it you will find the best tech deals on the items you need—always, without fail. Our internet instincts drive us immediately to search bar whenever online shopping. Stop! Using site search is great for finding what you want, but it’s not necessarily how you will find the best deals. Instead, start here—at Shop All Stores. The blue dropdown menu (above) shows all the categories by which every product is organized. Placement of deals and promotions follows the same hierarchy. Say you are looking for a wireless router. You will click the Networking link to open the Networking category page, and locate all the networking hardware deals under the “hero” picture. On the Networking category page, find the Routers & Access Points subcategory (circled below). Click that link to view to see deals within that subcategory just like on the Networking category page. Scroll down a bit to look at the Featured Products (pictured below) which often have promo code for added discounts. If the SKU you came to find has a discount, good news for you. If not, chances are a similar product will have discount worth considering. The Featured Products window shows items with promo codes for deep discounts. Once you navigate to the subcategory page for the type of product you want to buy, notice the filters on the left side of the page. These will assist you in narrowing down your items in the search. This example shows several specifications pertaining to the wireless router subcategory. Use the checkboxes to pair the specs you need to the budget range you are looking to spend. This reveals the most appropriate products for you to consider purchasing. Similar hardware-specific filters are on every subcategory page on NeweggBusiness.com. Using the filters are probably the most calculated way that customers can narrow down available SKUs in search of the best tech deals for their budget. Timing is critical for getting the best tech deals. You want to always be buying at the right time. If you haven’t already, check out hardware pricing trends on PC Part Picker; this will give you an idea where certain components are heading price-wise. When you’re waiting for the price to drop on new technology, or when purchasing commodity items like spare HDDs or printer cartridges for example, setting a price alert will trigger an e-mail whenever a certain item drops below a price that you determine. Set price alerts on the product page of any SKU you would like to follow. You can set price alerts by logging on to your NeweggBusiness account, and navigating a product page. There you will find the option for setting a price alert for that SKU. You can view and manage your price alerts from your account dashboard main page. From 7-11 a.m. PT every Thursday, dozens of tech products are placed on deep discount as part of the Happy Hour promotion. Stop by NeweggBusiness.com during these hours, or sign up for the mailing list for previews and reminders. Leasing instead of buying IT equipment is becoming increasingly popular with business customers. It helps companies keep initial expenditures down when making larger-scale purchases. When a company needs frequent updates of technology infrastructure, leasing passes off the costs of obsolescence onto the lessor. NeweggBusiness has flexible leasing and financing options available for businesses of all sizes. Find out how they can benefit your tech purchasing. If you prefer the human touch when obtaining a quote or a bid, NeweggBusiness Account Executives are here to help from 6 a.m.-5:30- p.m. Monday thru Friday. They can help tailor your purchases to your budget, and find for you the best tech deals NeweggBusiness has to offer. Finding the best tech deals on any e-commerce site takes a little sleuthing. NeweggBusiness is no exception.